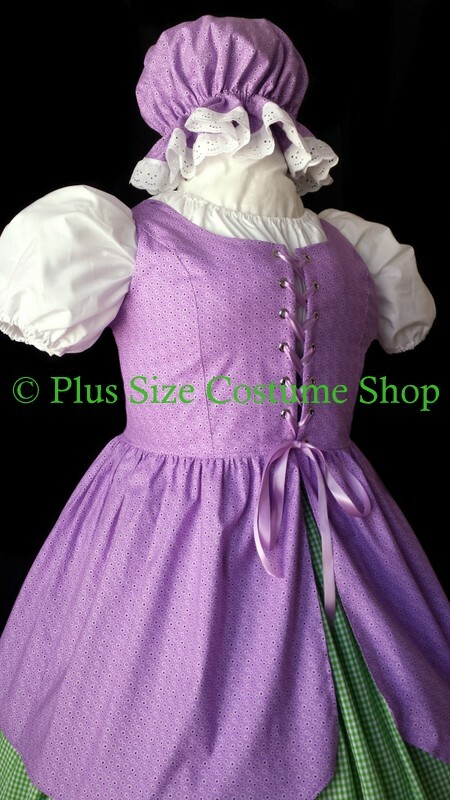 The overdress is made of patterned lavender cotton with small floral print. The bodice part is lined and boned at the lacings. It laces up through professional-strength grommets. The skirt is made of green and white gingham cotton and is trimmed in a wide piece of eyelet lace. The skirt has an elastic waist and will come hemmed at 36” (approximately ankle to floor length on someone of average height) unless a longer or shorter specific length is requested. 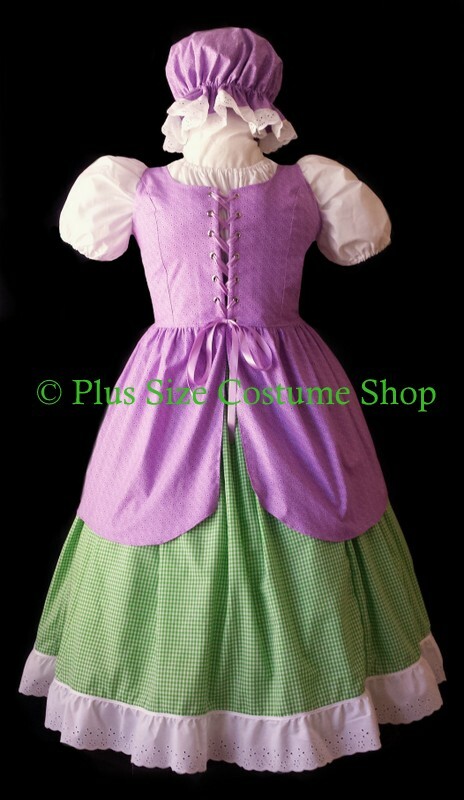 This costume would also work as: Little Miss Muffet, Goldilocks, Mother Goose, or any storybook type character. We can change the colors, however the overdress patterned cotton may be a different fabric (not the same print).